New International Packaging - Exact same product! Best kept beauty secret in South Africa! Truly South African Traditional and Completely Natural Anti-Ageing Serum with long lasting results. 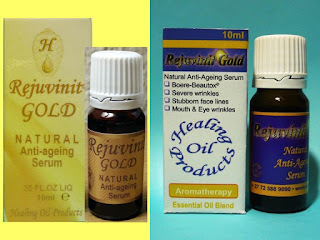 Can also be incorporated in your normal skin care routine (Cosmetic products are expensive, so use what you have left, enhancing it with Rejuvinit© Gold). No residue or artificial layer that hides the wrinkles, only the real you, just improved. If you have not yet heard about Rejuvinit products, it is because ladies do not like to share their beauty secrets.